Whatever the reason you’re looking for a physio in Cheshire, we have the qualified people available to help. From sports injuries to back pain or musculoskeletal issues, we’re on hand to offer advice, support and treatment along with the knowledge and experience required to make sure you get the treatment you deserve. Offering services to sportsmen and women, the elderly or people who are suffering with any kind of complaint that might require physiotherapy, we make sure that we offer a full and thorough assessment, taking into account your own personal circumstances. All of our staff are fully trained in the latest techniques and we are always looking for new developments in our field. We understand that downtime is not something anyone looks forward to – athlete or not, and we aim to ensure that recovery is as quick but as thorough as possible. We pride ourselves on offering quality customer services and at great prices too. 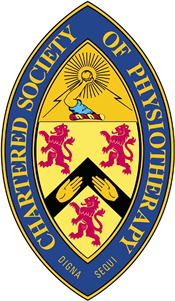 There’s really no better place to come if you’re looking for a physiotherapist in Cheshire, as we are easy to reach and accessible by road, rail and public transport. If you’d like to contact us to discuss you needs, you can reach us by telephone or simply fill in your details below and one of our trained staff will be in touch to talk about what we can do for you.